In the last few months I've been fairly public with my efforts to lose some weight and get healthier, both for some public accountability and personal motivation. It's common for people to (seemingly constantly) talk about their fitness as they get excited and realize some success, and the reality is it's not just a desire to seek some public affirmation or social media "likes." Talking about the process helps keep it in the forefront of our minds and a priority amidst our busy lives. While my journey is far from over, I thought I would share some of my experience in hopes that it may benefit others. For those that know me well, it's no surprise I have been struggling with some weight, largely due to some chronic pain and injuries. From a rib that frequently dislocates from my spine, to my knee that is mostly void of any cartilage, and shoulders that have been torn and flare up with strain, it has been difficult to maintain any exercise routine for more than a few weeks before something flares up to a degree that derails my attempts at increasing my daily fitness. Several times in the last year I've gotten past the first couple of weeks only to end up with daily icing routines and plenty of Ibuprofen. But let's be honest here. Despite the injuries and pain, my real problem is a sedentary daily lifestyle and a prolific enjoyment of food. I often joke that my lovely wife Heather is an amazing cook, and I'm a great eater of food. Heather cooks healthy and sometimes rich foods, and I get in those old habits of eating until I'm stuffed. Portion control is essentially whatever I can fit in before my body rejects any more intake. So it was past time for a change. Enter my friend Jason, letting me know a friend of his was looking for people that needed to lose 30 pounds or more to test a new meal replacement shake product soon to hit the market. I didn't need to know anything more, I was in. Timing was perfect as a family beach reunion was coming up in a couple of months, and all my previous efforts had failed miserably. In fact I had gained more weight in the meantime. After a few back and forth emails to confirm my stats, take some "before" photos and affirm my commitment, I was in. And that was pretty much it to get started. I received a couple bottles of the shake powder along with a "good luck" and I was on my own. After little surprised there wasn't more guidance, I decided if I'm going to do this, then I'm ALL IN. I rarely do anything halfway, so my choice was to create a way to take in as few calories as possible and just power through the hunger that would inevitably come. And boy howdy did it come. Along with using the shakes to replace my breakfast and lunch meals, I of course cut out all desserts, processed sugars in general, and no sodas or sugary drinks. Those are actually pretty easy for me to skip. It's the breads, chips and dairy that do me in, so I cut those out too. I had dinner with the family and ate whatever was prepared, just skipping parts if I felt like they hit the categories above and made sure I was eating about half of what I normally would in a portion size. After dinner there was nothing but water. Night time snacking is another of my many bad habits. Though I didn't take time to actually count calories for each meal, my estimate was about 1,100 calories per day total, including the shakes and snacks. The first two weeks I refer to as my "hell week(s)" as my stomach adjusted to the sudden, massive change. The shake product tasted great and helped both with appetite and nutrition. I looked through the ingredients and it was all natural and a good list of things. My digestion stayed constant despite going to a 2/3 liquid diet and a severe cut in calories and basic mass of foods. But it still was painful. As in it really hurt at times. After two weeks, my body adjusted and the severity of hunger started to subside. I was feeling pretty good and starting to see some weight fall off. I played with various ways to help stick to the plan, consuming some fruits, veggies and other healthy options as snacks. These did help, but after talking with the program director he suggested if I really wanted to embrace the potential I needed to cut out even fruit because of the natural sugars. Wow. Ok, I'm in. Fruits for the most part were now gone. An occasional apple slice or plum off the back tree was fine, but it wasn't in my daily plan. So for my snack I turned to plain peanuts. High in protein and even a small handful would satiate my mid-meal hunger if I gave it a few minutes to kick in. I also increased my liquid intake...a lot. I'm now up to 4-6 liters of water (often flavored with sugar free options) a day. That helps the appetite a ton keeping the belly feel despite significantly increasing the bathroom visit frequency. At the end of the first month I was stoked. Results were happening, and fast. By the time I took some progress photos I had lost 30 lbs. I have lost weight in the past, but more like 15-20 lbs over many months with fitness. Losing it this fast was a huge challenge, but I had wanted to see if it was possible. I felt so much better already, primarily because I had taken a huge weight off of knees. To this point I had done nothing physical in my weight loss effort, focusing entirely on my diet. I was stoked and feeling very motivated. Those that follow me on social media were likely already starting to get tired of my frequent posts of the numbers on the scale, but I didn't care. I was all in, and that meant being accountable and following through with all aspects of the effort. So at this point I decided it was time to add in some exercise, but very slowly. The last thing I needed was to get hurt and laid up with an ice pack on my back struggling to sleep or move about. Our little dog Jasper was up for the challenge. He probably didn't know what changed, but he was happy to have a consistent morning walk as I hit the streets. Starting with 3/4 mile I tried to take him at least once a day, every day. My knees were feeling so much better I eventually increased this to a mile route, limited only to that because of time and wanting to start doing other exercise as well. My daily food plan was solid, and as I tend to be a creature of habits (both good and bad) I almost never deviated. Adding some fitness you'd think I'd see even quicker results. Right around the 200 lbs was a long standing plateau for me. I'd just above and below for the next few weeks. It was a good place to be, but frustrating at the same time. I wanted to believe I was putting on a little muscle while burning fat, but I don't think that was really happening yet. Mostly my body was fighting to hold on to whatever it could and I just needed to stick with the plan. At this point I was very comfortable with the 2 shakes a day and very happy with the product and what it was doing for me. My calorie intake was still consistent and low, and hunger really wasn't an issue. My workday was the easiest because my meals and snacks were at predictable times and for the most part kept any hunger issues under control. Just keep with it and trust the results will come. With a few weeks left I was giving as hard a push as possible. 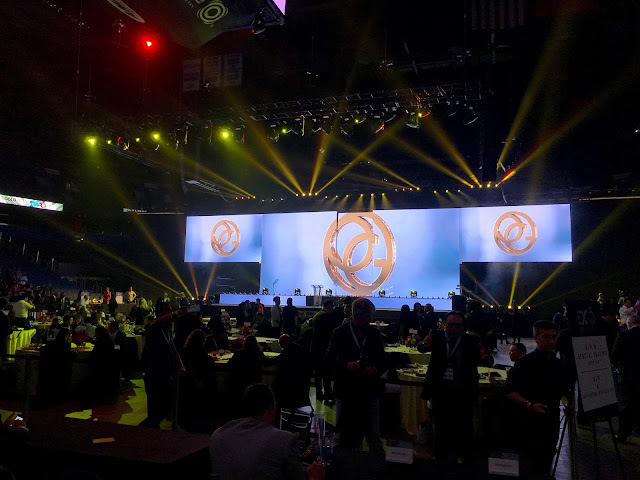 At this point I had been invited to join the company at their convention in Tampa to share my results, and I knew I was near the top of the results of all those participating. Sticking to the plan I was able to shed an additional 14 lbs and end up with 44 lbs lost. What a monumental change. 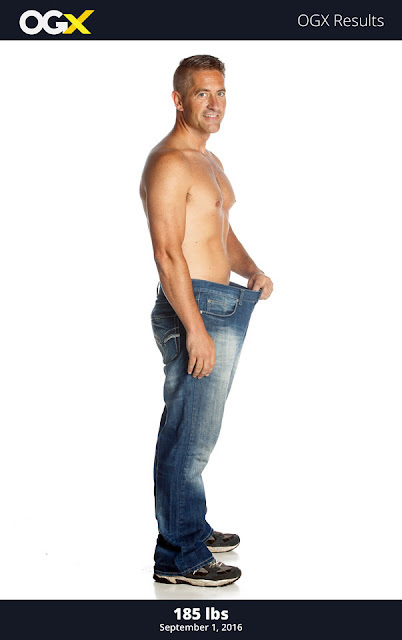 Not only did I drop the weight, I went down several pant sizes and 4 notches in my belt. My joints feel so much better not carrying that weight and I am now enjoying getting outdoors and being active again. I still deal with some of my chronic injury issues, but they are getting better as I am able to continue to increase my activity level and tone up my core and joint muscles. Traveling to Tampa to share my results was fun and a nice affirmation of my efforts. 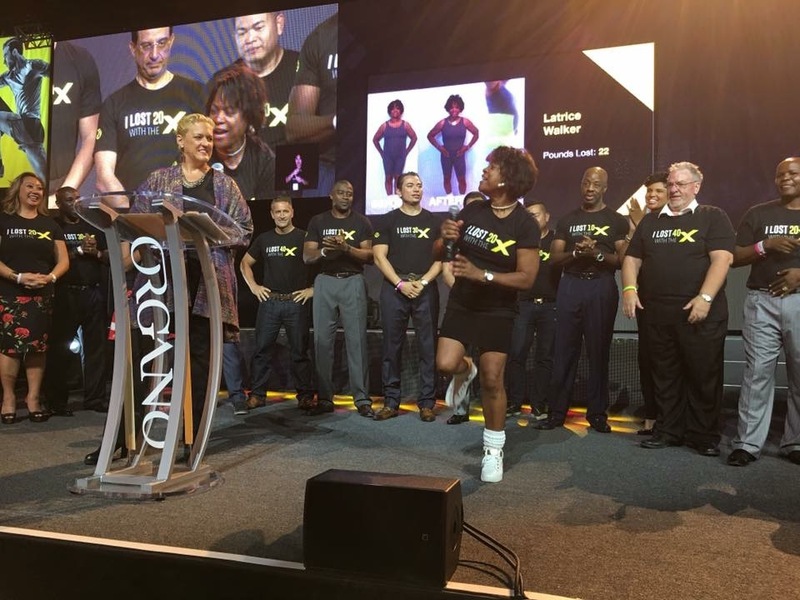 I was one of about 30 people they had come on stage in front of their very large crowd of distributors and leadership attending. It was energizing to see and share with others that also had great results, and honestly even more rewarding to be presented as having had the best results out of the trial. During the trial period testing out the shake product I was under a confidentiality agreement, so when asked about what I was using I couldn't reveal the company or product. 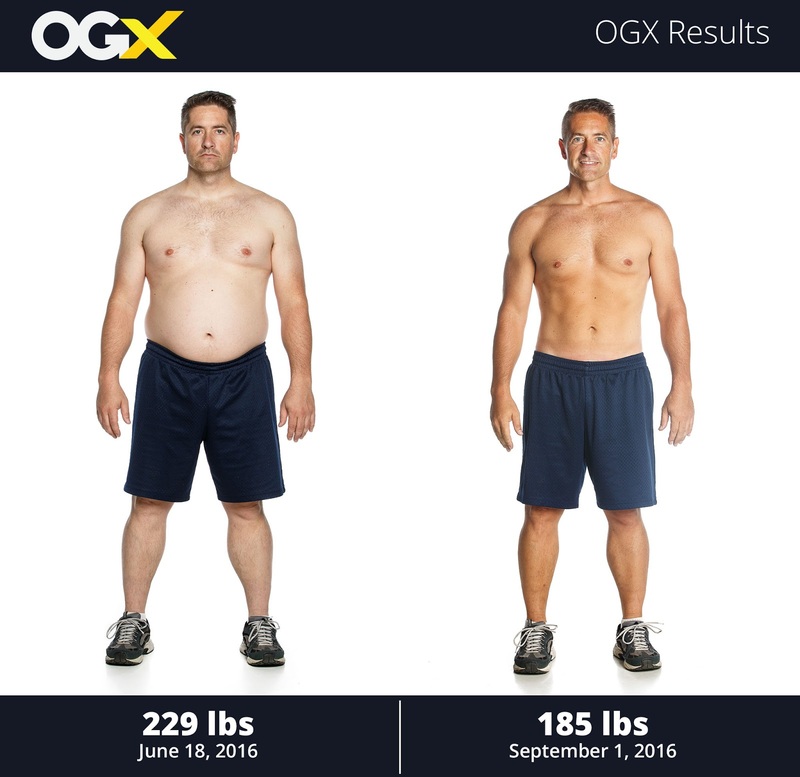 Now that I have finished the trial, I can say the product is called OGX by Organo™. 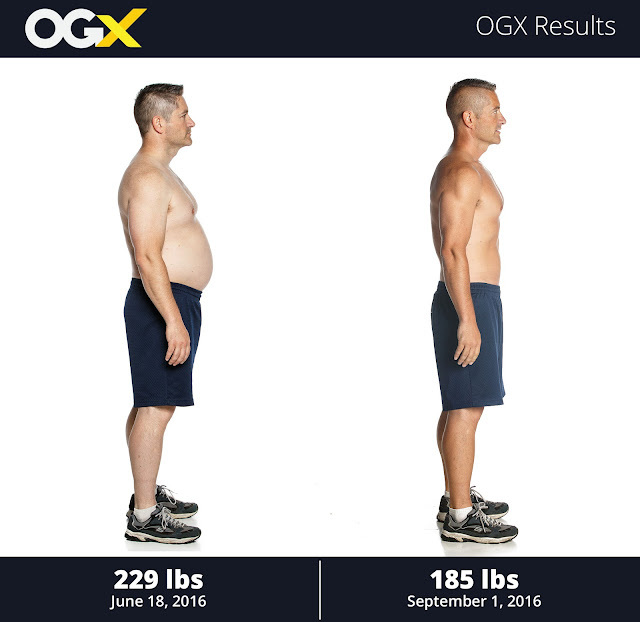 I was very happy with the way it performed for me as part of my overall effort, and it enabled me to push harder than I would have done on my own with just reduced portions and healthy foods. Their mix of natural ingredients gave me energy, helped stem my cravings and frankly tasted great so I actually enjoyed my meal replacement. I'd happily recommend it as an option to anyone interested. I am not a distributor for their products, but I'm sure you'd have no problem finding someone who can help you purchase them at retail or reduced pricing. My goal all along with this weight cut was hoping to hit a big reset button. Cut the weight and then move forward in improving my overall health and activity level. I've taken up cycling with a couple of friends and even enjoyed a road trip that included some cycling in Snow Canyon and Red Canyon. My neighbor has helped keep me on a 2x a weeks schedule cycling and I'm slowly improving my endurance and cardio. I'm hitting weights in my home gym 3x a week, and added a rowing machine to my options. It feels fantastic. I'm committed to following through keeping off the weight I've lost and adding back some muscle mass while burning off some additional fat. Many people have asked me about my experience and what worked for me, so hopefully this helps those that are interested and maybe even inspires a few others that are in a similar situation. Feel free to hit me up on social media or via email if you have any questions or want to know more. 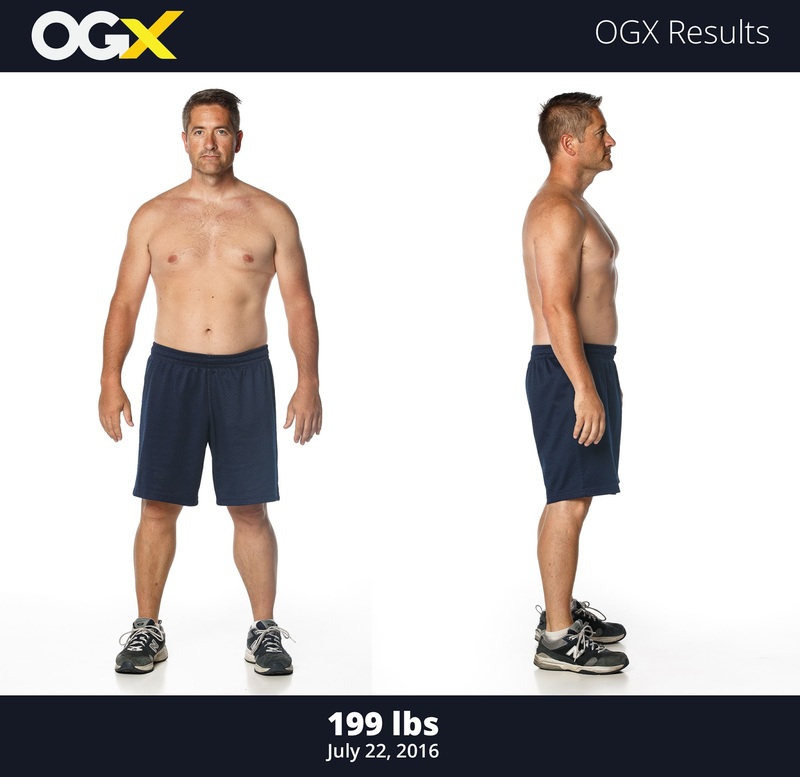 Results photos copyright ORGANO™. See their product I used at www.organigold.com called OGX. Thanks OG for making this experience possible!